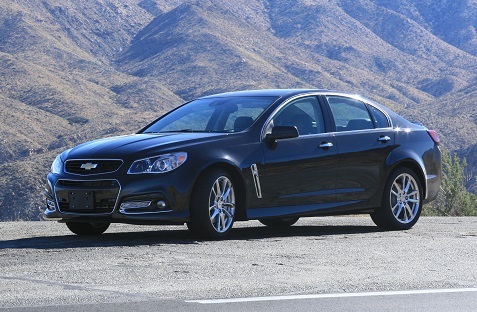 The performance sedan has returned to Chevrolet with the introduction of the all-new Chevrolet SS. 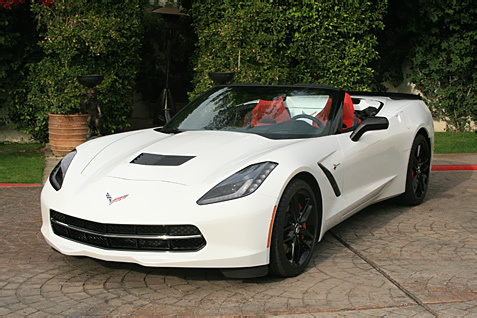 This badass, rear-wheel drive sedan features a 6.2L V-8 engine rated at SAE-certified 415 horsepower and 415 lb.-ft. of torque with paddle-shift six-speed automatic transmission and joins the new Corvette and Camaro in Chevy’s impressive performance lineup. The SS was designed and built in Australia by the team responsible for the Commodore and benefits from the global rear-wheel drive architecture that is the foundation for Holden’s VF Commodore, the Camaro and the Caprice Police Patrol Vehicle. I had the opportunity to drive the new SS on some great roads around Palm Springs and I enjoyed pushing it to the limit. I love sedans with power so I immediately felt comfortable in the SS. The sedan is big and powerful but also impressively nimble as well. It performed as expected on straightaways with the kind of responsiveness and acceleration that will bring a smile to your face. But it also handled the mountain curves with ease as well. 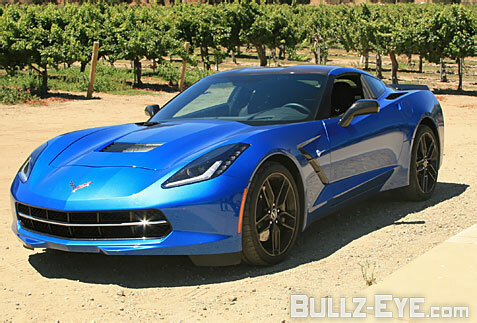 It marries the power of traditional muscle cars with the handling one expects from modern vehicles. The SS is fun to drive and you’ll love the sound of this vehicle as well. 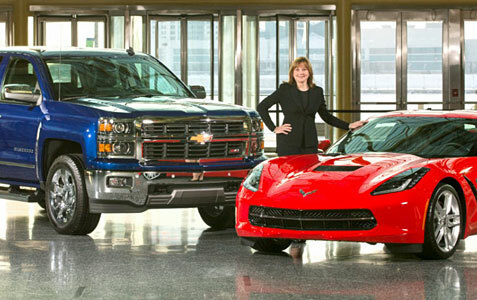 The 6.2L LS3 small-block V-8 is paired with the Hydra-Matic 6L80 six-speed automatic with paddle-shift control. I was pleased to see the sport mode feature which is a necessary element in modern performance cars. It’s easy to slide into sport mode with the shifter on the floor and then drivers can also use paddle shifters or the floor shifter to manually control the gears. Some purists will lament the absence of a true manual option, and GM would not comment on future options, but there’s plenty here for performance enthusiasts to like. The sport-tuned suspension gives you great handling when needed along with a very comfortable ride. The front suspension is a MacPherson-strut-based multi-link system with a direct-acting stabilizer bar, featuring a forward-mounted steering rack and dual lower links with individual ball joints at the outer ends. The rear suspension is a multi-link independent system with coil-over shock absorbers and decoupled stabilizer bar. The muscular but clean design of the SS perfectly matches the performance characteristics. The SS is sporty but also understated in its design without any unnecessary flair thrown in. I like the front grille and also the dual-exhaust tips in the rear. I also like the styling of the rims, but I would have preferred an aluminum option as opposed to the shiny chrome rims. The interior design is luxurious but also understated in a manner that evokes a sports car interior. I liked the horizontal dashboard and the prominent use of the SS logo and the controls are laid out in a logical manner. The clean, functional approach trumps any urge to push the design envelope which works well with the exterior design and performance car attributes. The interior only comes in black and the sunroof is the only option available. That shouldn’t be a problem as everything you would want is standard, including leather, eight-way power adjustable front bucket seats, in-dashboard touch screen that supports Chevrolet MyLink, navigation system, SiriusXM radio, Bose 220-watt, nine-speaker premium sound system, six months of OnStar and much more. The SS is exactly the type of performance car we should expect from Chevrolet. This is Chevrolet’s first V-8, rear-wheel-drive performance sedan since 1996 and signals that the brand is heading in the right direction. The overall package from performance to design works beautifully and Chevrolet should have a hit on its hands with the SS. Priced at around $45,000 this car offers an impressive amount of performance and luxury for the money. Guys in particular will be drawn to this car, and if you’re into performance sedans you have to put the SS on your test drive list. The 2014 Chevrolet Silverado 1500 Z71 4WD LTZ Crew is all new from hood to hitch while carrying over base prices. We had the opportunity to drive this beast of a truck for a week and now understand why supply is having a hard time keeping up with demand. Chevy didn’t disappoint, as the finished exterior design of the 2014 Chevrolet Silverado 1500 Z71 4WD LTZ Crew has received rave reviews. 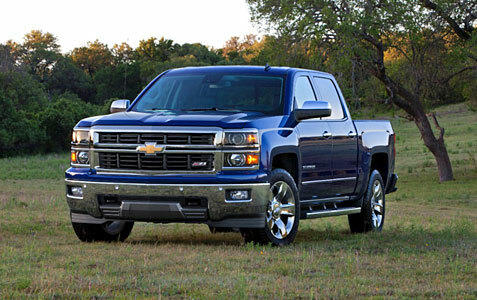 Silverado’s design blends strong Chevy truck heritage with a refined, modern aesthetic. The new design is more muscular, functional and aerodynamic. A twin-port grille, full-width bumper and dual power dome hood create a strong presence, which is carried through in sculpted body sides and fender flares. The new Silverado design is about much more than just looks, however. The new front end is engineered to improve sealing for more efficient cooling, while the roof and tailgate spoiler were shaped in the wind tunnel to smooth airflow over the truck for reduced drag. New inlaid doors, which fit into recesses in the bodyside, reduce wind noise for a quieter cab. Our test vehicle looked sweet from first glance, with improved function from the outside in. Equipment included an EZ lift and lower tailgate; locking tailgate; deep tinted glass; rear wheelhouse liners; chrome body side molding; adjustable with huge turn signal power heated outside mirrors; projector headlamps; 18-inch bright machined aluminum wheels; all-terrain tires; front fog lamps; bed rail projectors; chrome front bumper; rear bumper cornerstep (yes, it’s here! ); and front recovery hooks. Huge strides were made in the cabin and we just couldn’t get over the room and upscale vibe in this new Chevy truck. The all-new interior of the 2014 Silverado 1500 reflects the same focus on form and function. The upright instrument panel, six-gauge instrument cluster and multiple storage options are tailored specifically to the needs of truck customers. Controls are functional, logically placed and easy to operate with work gloves on. Rear doors on crew cabs are larger for easier entry and exit, and rear doors on double cab models are now hinged at the front for easier access, especially in tight spots. The new Chevrolet MyLink provides easy-to-use connectivity for the job site or family vacation, with natural voice recognition and enough ports and power outlets to support multiple devices. Our LTZ model received an 8-inch high-definition touch screen that enables users to scroll or drag through menus. The MyLink system features intuitive, easy-to-operate controls for major functions. Silverado also features four selectable themes for the display screen and drive information center, which tailor the look of the displays to the taste of the customer.